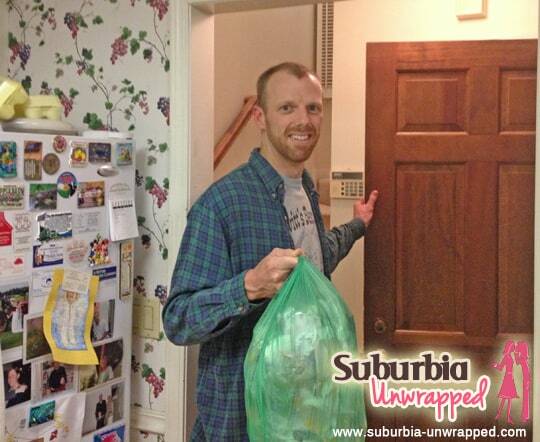 Home » Family Life » Homemaking » Never Forget Trash Day Again with The Chore Buddy! 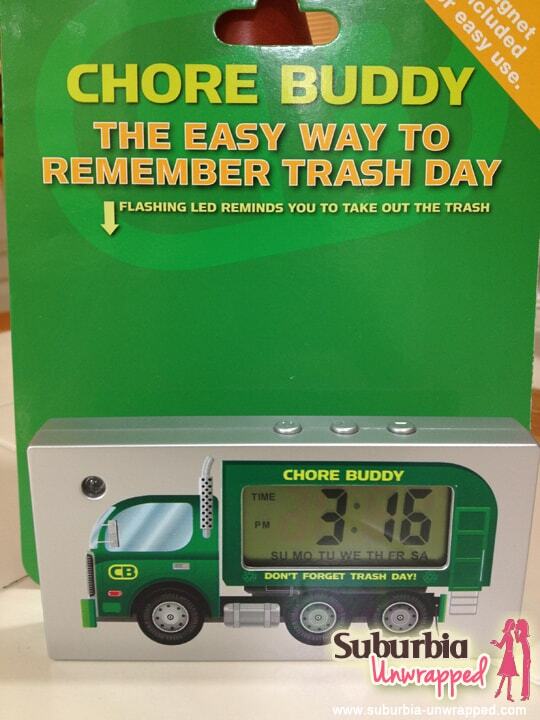 Never Forget Trash Day Again with The Chore Buddy! This post has been brought to you by The Chore Buddy but all opinions expressed are my own. Picture this: It is 6:00 AM and I am sitting in my recliner with a much needed cup of coffee just trying to keep my eyes open. It is dark, quiet, and the children (thankfully) have another hour before they have to get up for school. The husband left quite some time ago and now it is just me, my iPad and my caffeine. Then, the shrill sound of the phone breaks the quiet morning peacefulness. Now the bird is squawking, the kids are waking up and I am cranky. WHY is the phone ringing at that God awful time of the morning? Because my husband is calling from work to tell me he forgot to take the trash out before he left. If you have a husband who forgets to take the trash out like mine does occasionally, there is hope! 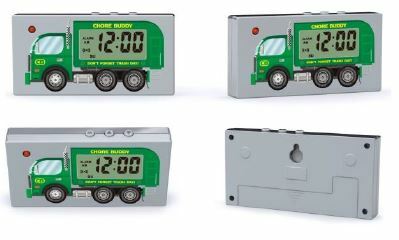 The Chore Buddy is a simple little reminder system that will help your family remember that it is trash day so the garbage makes it out to the curb on time. Because that giant, stinky truck waits for no woman, no matter how loudly she yells! Forgetting trash day causes your garbage bin to start overflowing which can result in odors, health (hygiene) hazards, pest problems, and storage issues. Not to mention the fact that we are losing services that we have already paid for! If forgetting trash day happens a lot in your home, you are not alone! According to a national survey, forgetting trash day is a very common problem with 51% of families stating that they forgot trash day at least once in the past three months. Why do we keep forgetting something as simple as putting out the trash? To put it simply, we are just too busy to remember! 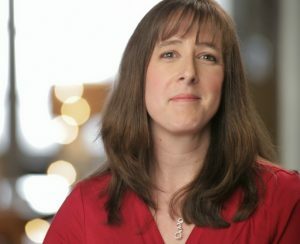 So, how does The Chore Buddy work? The Chore Buddy reminds your family that its trash day by using a high intensity flashing Light Emitting Diode (LED), not an alarm. The Chore Buddy LED will brightly flash for up to one hour or until someone turns it off with a simple touch. The Chore Buddy automatically resets itself to once again alert your family the next week. When the light flashes to remind you that it is time to take out the trash, you don’t have to rush to turn it off because it is a totally silent reminder. You can let it flash for a few minutes if you are busy and THEN take out the trash. You can put it wherever you think you will notice it the most. The Chore Buddy has a built in wall hanger and comes with a magnetic and adhesive hook so you can place the Chore Buddy on the refrigerator, in the garage, on a wall, etc. If you think your family needs a little bit of help remembering to take out the trash, you can find more information about The Chore Buddy by following them on Facebook and Twitter. Disclaimer: I participated in this program on behalf of Mommy Mindset Media for Chore Buddy. I received product samples as well as additional compensation for my participation. Sadly, I'm the trash lady around here. This would sure be handy! hubby isn't usually that happy about garbage day! I told him to make nice for the camera! I think this might come in handy because its so easy to forget to take out the trash! I know I do!